Bella's Duplex is a 3000 sq ft bi-level 4-bedroom / 2 bath unit, 1 and 2 flights up from street level, with lots of natural light and spacious accommodations, mostly hardwood oak floors and storage galore! The first level contains a sunny living room, book-filled office, formal dining/conference room, gourmand's kitchen, separate dining nook, full bathroom, and 2 bedrooms -- one with a full bed and one with 1 or 2 single beds. The second level contains a complimentary washer and dryer in a large storage room, an over-sized marble bathroom, private screened-in balcony and 2 extra large bedrooms with queen beds. This luxurious unit is filled with fine furnishings and artwork in every room. The LIVING ROOM has large south-facing bay picture windows. As an inviting gathering spot, it includes a large flat screen TV, board games and a decorative fireplace with hand-cast mantle built by a 7th generation Italian artisan. 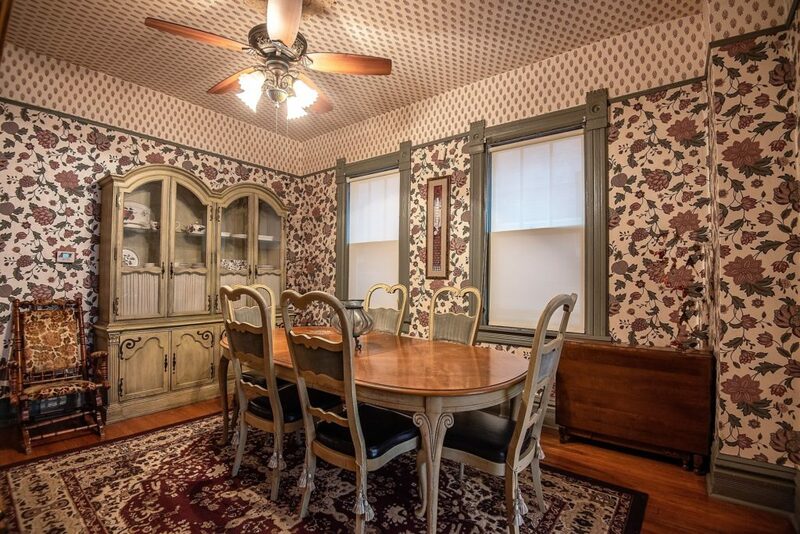 Eye-catching wallpaper distinguishes the formal DINING ROOM with its oval table to seat up to 8 guests. A large British antique inlay hutch and burl wood buffet provides extra storage. 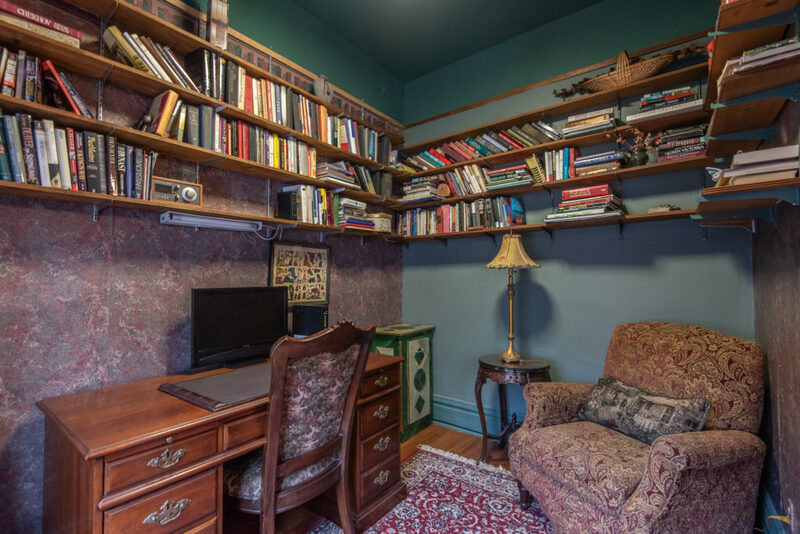 The STUDY shelves are stocked with books to please every reader, and there's a handsome deep chair in which to enjoy them. The desk provides an ideal work space, and a sound system provides background music via tuner or provided CDs. 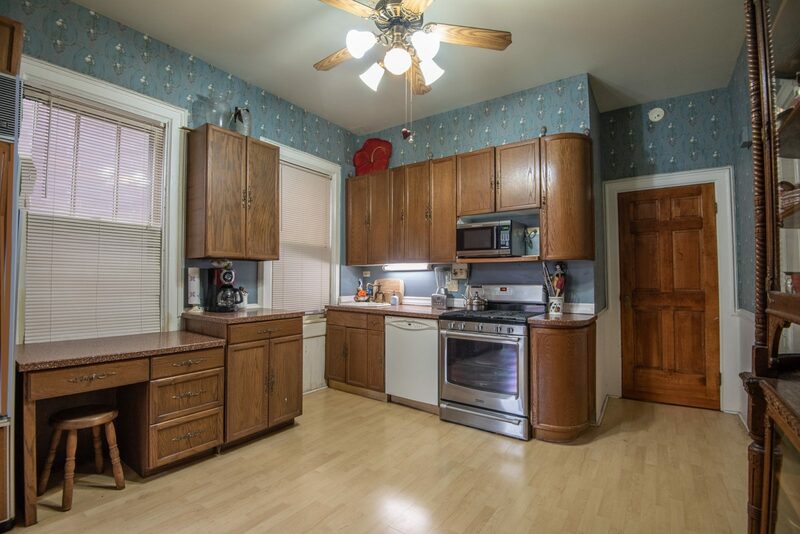 The fully equipped deluxe KITCHEN boasts a SubZero refrigerator, dishwasher, gas range, disposal, coffee maker, toaster oven, microwave, blender, all kitchenware. and an 1892 carved oak hutch filled with fine bone china. The sunny DINING NOOK overlooking the garden seats four. BEDROOM 1, 'Mon Amis', has a feel of France with its full-sized bed, French marble-topped dresser, granite-topped desk, book shelves, closet with storage, TV and DVD. 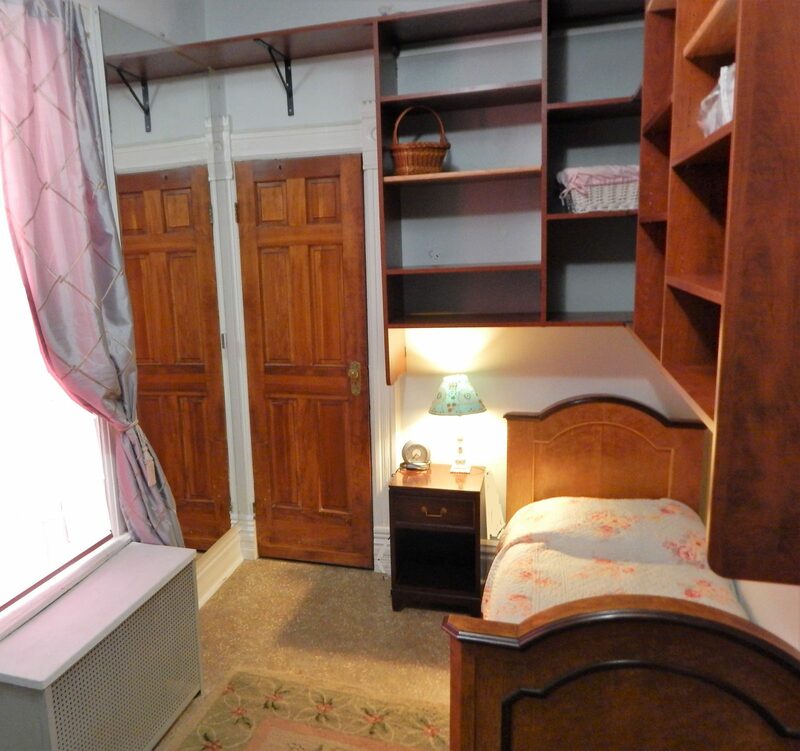 BEDROOM 2, 'The Twins', contains two vintage single beds, two dressers, a closet and extensive shelving. 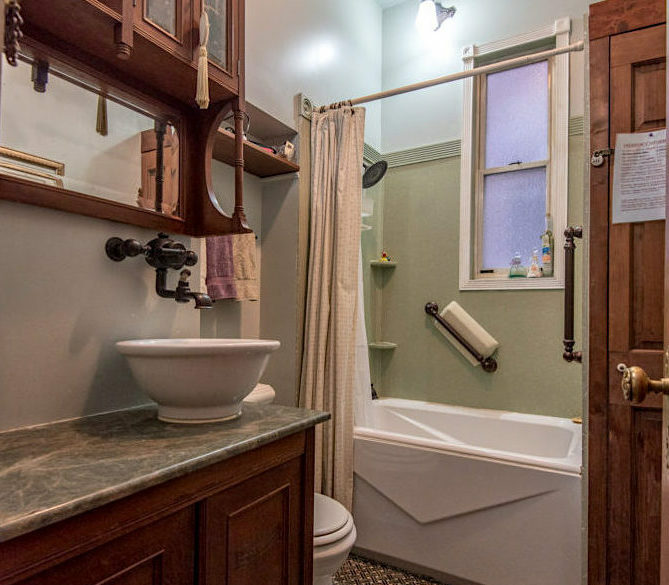 BATHROOM 1: Tenants may enjoy an invigorating shower, the 25" deep soaking tub, antique Bombay chest with vessel sink, hair dryer, toiletries and soft, thick towels. BEDROOM 3, 'Asian', contains a queen bed, love seat, 10 foot-dresser / desk, large closet, TV/DVD, small fridge and bamboo floors. 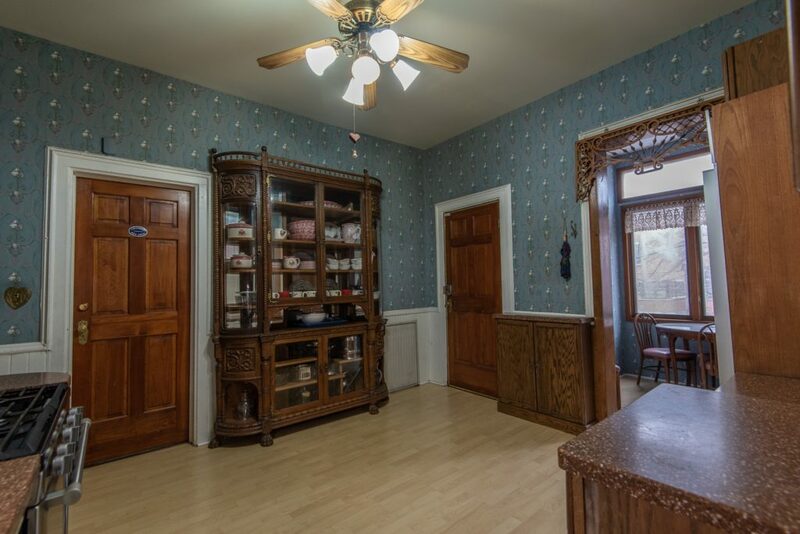 Instead of a door, this room is hidden behind a 6-panel Chinese screen. BEDROOM 4, 'Deco', is entered via tall etched glass doors. On its wall-to-wall carpeting are an Italian antique bedroom set used in The Untouchables TV show (carved head and foot boards, mirror-topped dresser, 3-door armoire, 2 night tables and 2 chairs) as well as 2 deep closets. 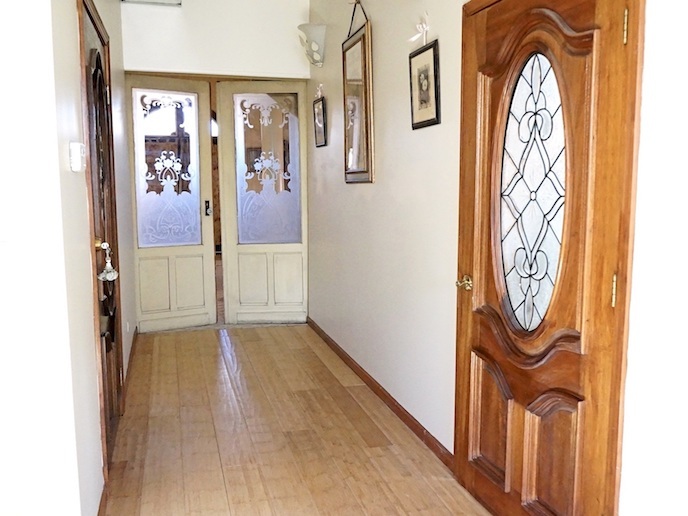 The HALLWAY with bamboo floors and original artwork is flanked by a large oak door with beveled glass, and leads to a pair of etched glass doors from a French chateau. BATHROOM 2: Carved oak doors with beveled glass lead open to a marble-filled oasis with a 75-gallon soaking tub, shower, double sinks, hair dryer, toiletries, and soft, thick towels. 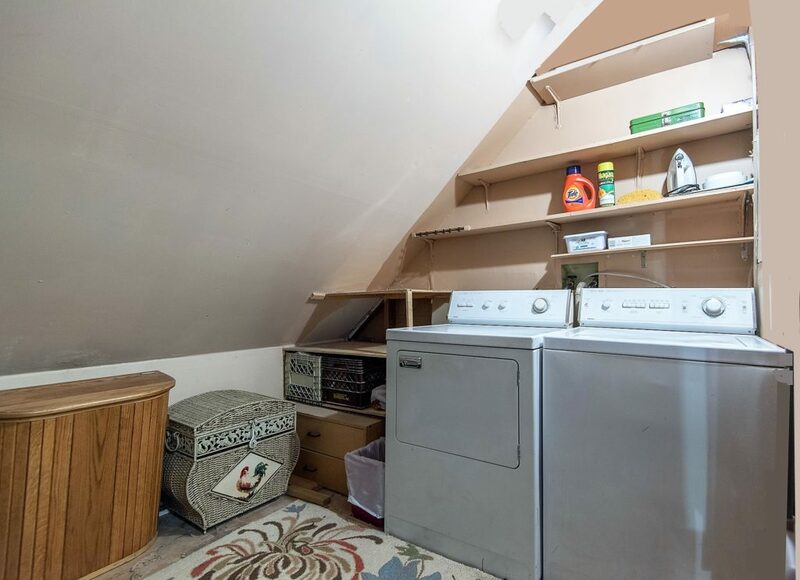 The 96 sq ft LAUNDRY ROOM provides an extra-large capacity free washer and dryer, hampers, iron, ironing board and ample storage, as well as cleaning equipment. 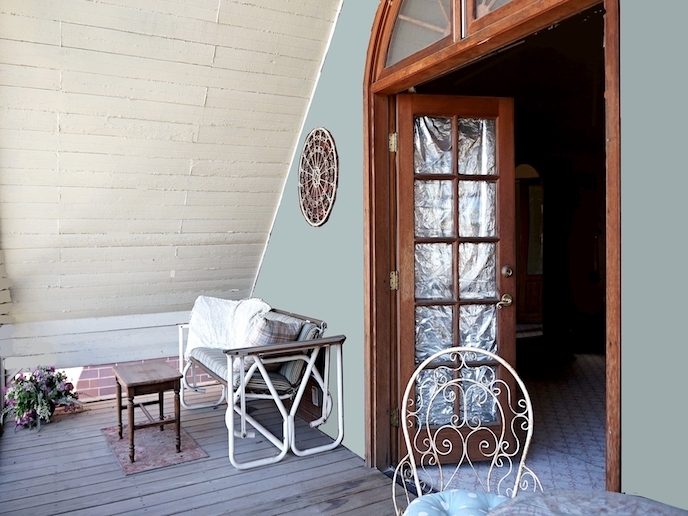 Double French doors lead to a private, screened-in TERRACE with a glider and bistro set. With its natural light, 10-foot ceilings, hardwood floors, individual room air conditioners, fine furnishings and original artwork this first level of Bella's elegantly introduces one to the wonders ahead. The LIVING ROOM has large sunny south-facing picture windows. As an inviting gathering spot, it includes generous seating, a 43" flat screen cable TV, board games and a decorative fireplace with hand-cast mantle built by a 7th generation Italian artisan. 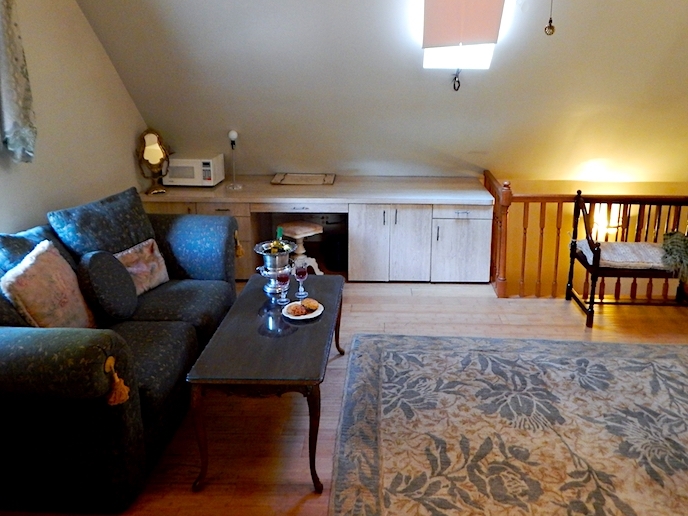 "Bella Apartment was one of the most gorgeous accommodations I have ever lived in. It was majestic from every perspective right from the looks , the feel and the ambience." "The living rooms have very comfortable couches which are very pretty at the same time." Eye-catching wallpaper distinguishes the formal DINING / CONFERENCE ROOM with its expandable oval table to seat up to 12 guests. A spacious hutch shows off fine china and provides extra storage. "There is a splendid dining table area which looks so elegant with the candles, flowers and designer table clothes." 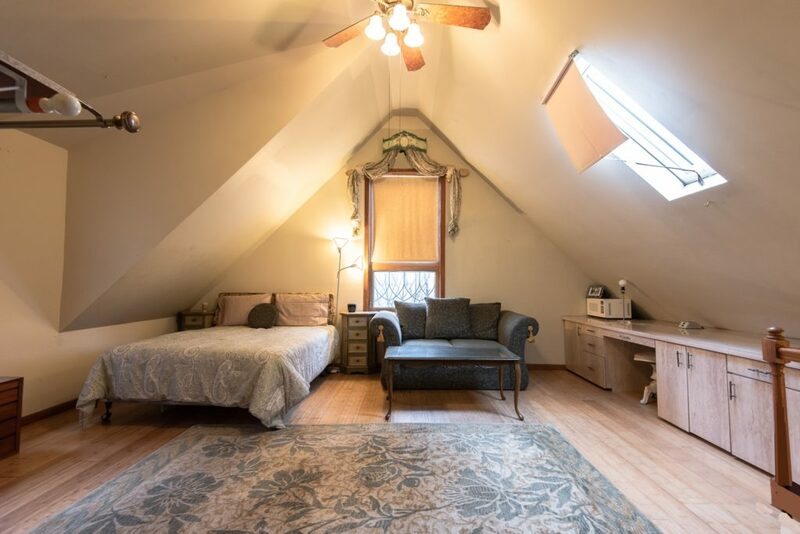 "We stayed on the second and third levels and had everything we needed--a fully equipped kitchen, convenient laundry room, four cozy bedrooms and two comfy bathrooms. Add to that a spacious living area with cable tv, beautiful dining room, outdoor seating areas, and a safe and private entrance." The OFFICE shelves are stocked with books to please every reader, and there's a handsome recliner chair in which to enjoy them. The large mahogany desk provides an ideal work space in this quiet alcove. "Bella's has a separate study room which is no less than a mini library having timeless collections of novels and ageless books." 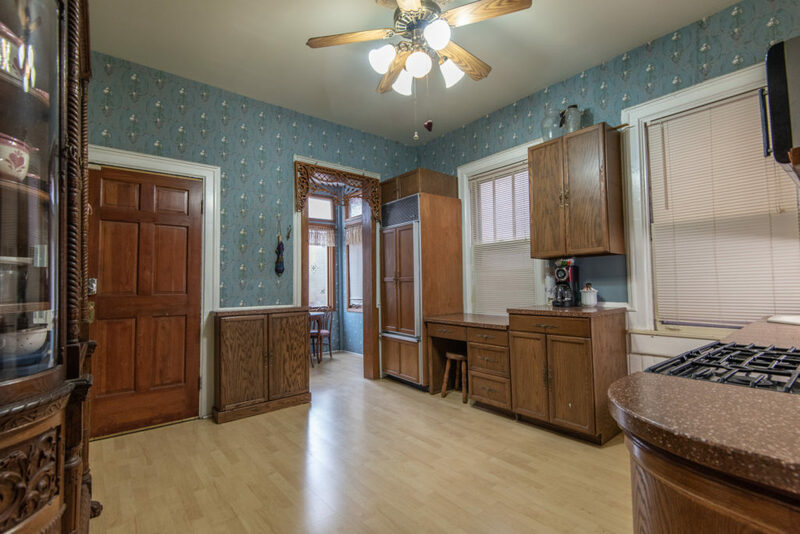 The fully equipped deluxe KITCHEN boasts a SubZero refrigerator, dishwasher, stainless gas range, disposal, coffee maker, stainless microwave, toaster, blender, all kitchenware and an 1892 carved oak hutch filled with necessary dishware and cooking supplies. "The house does has all the modern facilities like a loaded kitchen with all equipment and utensils, Televisions, tons of closet spaces, wifi, laundry equipment and what not a person can imagine. " 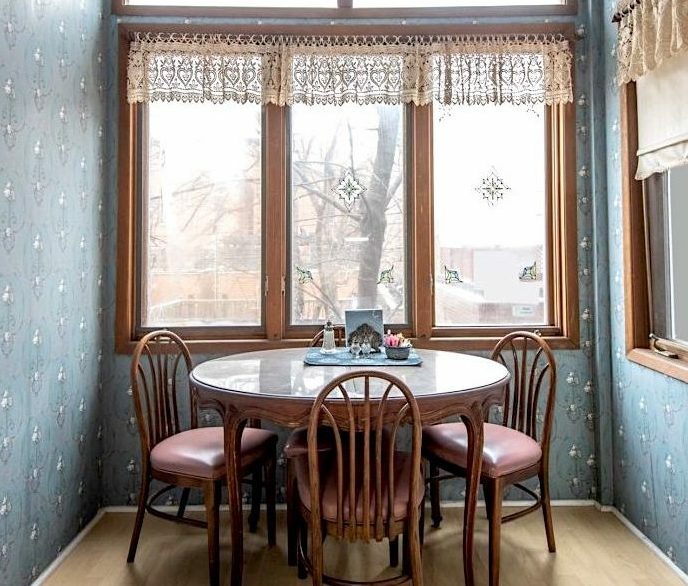 The sunny DINING NOOK, with windows on two sides to overlook the garden, seats four. "The house is loaded with tons of comfortable finishing. There is a sitting arrangement by the kitchen where the family can have breakfast or meals together." 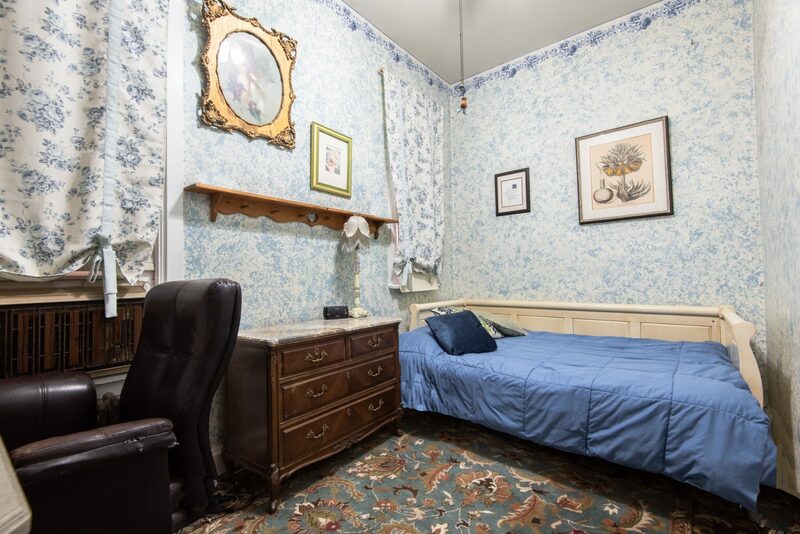 BEDROOM 1, 'Mon Amis', has a feel of France with its full-sized bed, French marble-topped dresser, large granite-topped desk, book shelves, mirrored deep closet with storage, 26" flat TV with DVD player, 2 windows and lush wall-to-wall carpet. "The apartment was spacious, well maintained and well appointed. We truly felt like we were coming home every day of our stay. 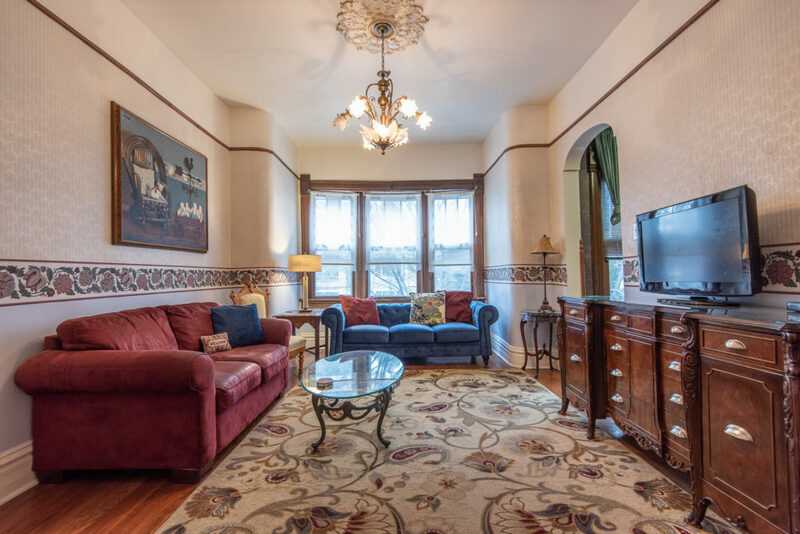 The Aster House will be our preferred place to stay, whenever we visit Chicago!" 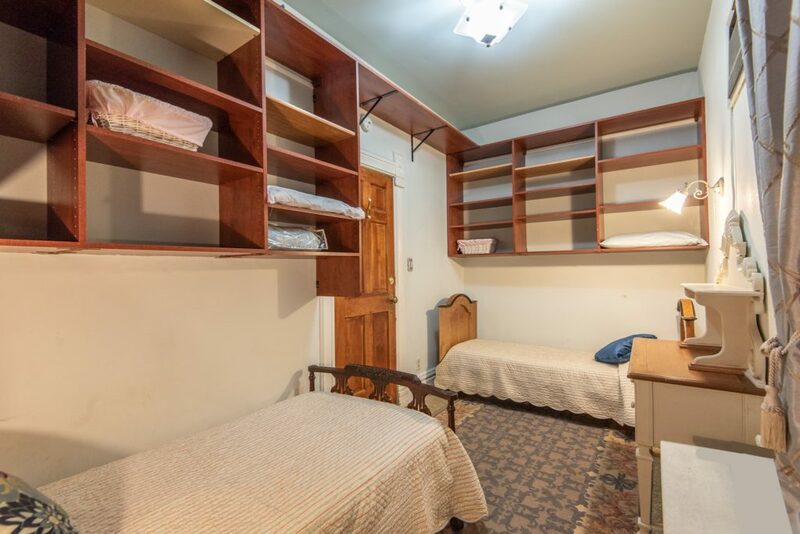 BEDROOM 2, 'The Twins', offers a choice of two single beds or a single bed and a love-seat, as well as two dressers, a very large wall mirror, a closet and extensive shelving. "I loved my stay here and Bella’s would be my first choice if I ever travel to Chicago again." BATHROOM 1: The 25" deep soaking tub is topped by a rain shower-head, the antique Bombay chest is topped with a porcelain vessel sink, and there's a generously stocked linen closet. With its 12-foot soaring ceilings, fine furnishings, original artwork, central air conditioning, skylights, extra-spacious 400 sq ft bedrooms and the floors of bamboo, marble and carpet, this upper level brings an exceptional touch of luxury. This level contains 2 bedrooms, laundry/storage room and a marble bathroom, as well as a private balcony. BEDROOM 3, 'Asian', is almost its own studio apartment! 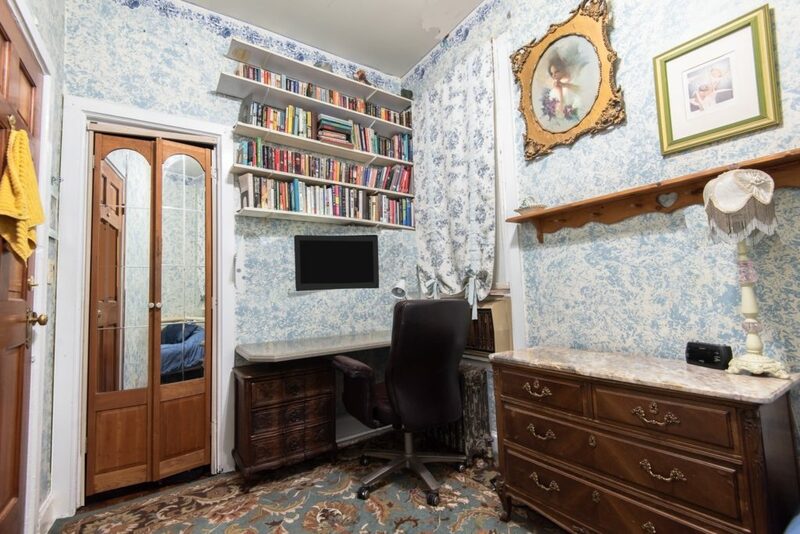 Its 390 sq feet contain a queen bed, love seat, 10 foot-dresser/desk, 7-foot closet, 32" cable TV, eco-friendly bamboo floors -- and its own small fridge, microwave and coffee maker. There are large windows and a skylight to provide lots of light. 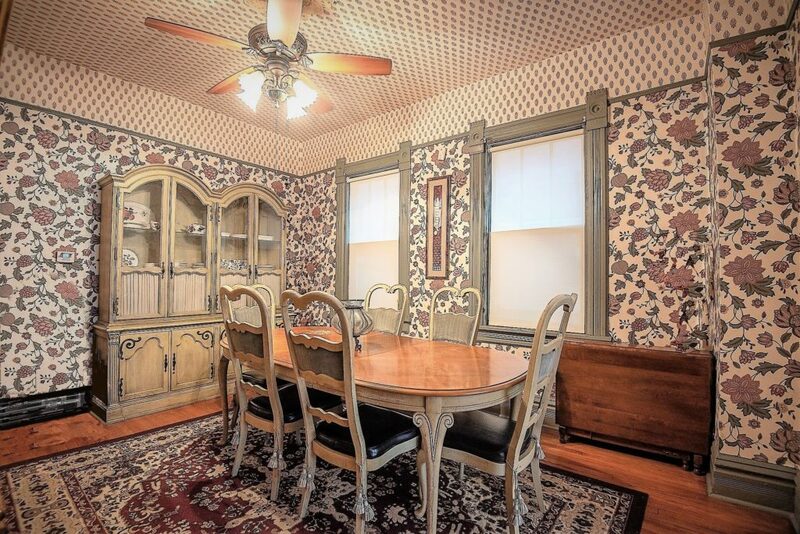 Instead of a door, this room is hidden behind an inlaid 6-panel Chinese screen. "The house is very very spacious. A large family can fit in it comfortably and if a person is single , then there are options for that too. I had the whole apartment at my disposal and I felt like a queen living in a big palace." BEDROOM 4, 'Deco', is 400 sq ft of luxury. 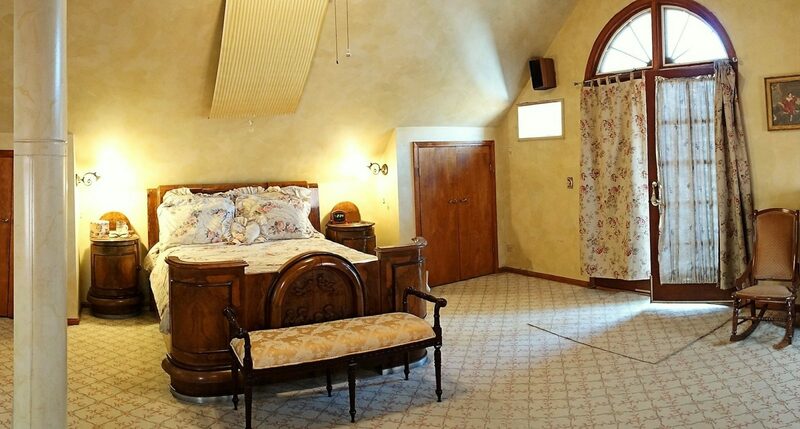 On its thick wall-to-wall carpeting are an Italian antique bedroom set used in The Untouchables TV show (carved bed, mirror-topped dresser, 3-door armoire, 2 night tables, 2 chairs) as well as 2 deep closets. Sunlight enters via the two east-facing windows and skylight. 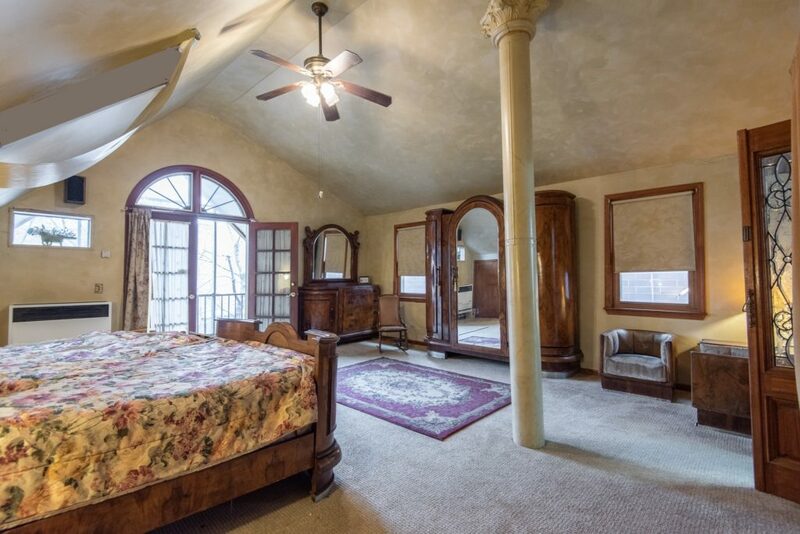 French doors with custom butterfly windows open to the private screened-in balcony overlooking the back yard. "Staying here was one of the best things we found in Chicago so we will be back!" The HALLWAY with bamboo floors and original artwork is flanked by two large oak doors with beveled glass, and leads to a pair of etched glass doors rescued from a French chateau. "If you appreciate true luxury, stay in Bella's Duplex!" BATHROOM 2: Carved oak doors with beveled glass open to a marble oasis with a skylight-topped 75-gallon soaking tub, shower, double sinks over a large vanity, and linen closet. 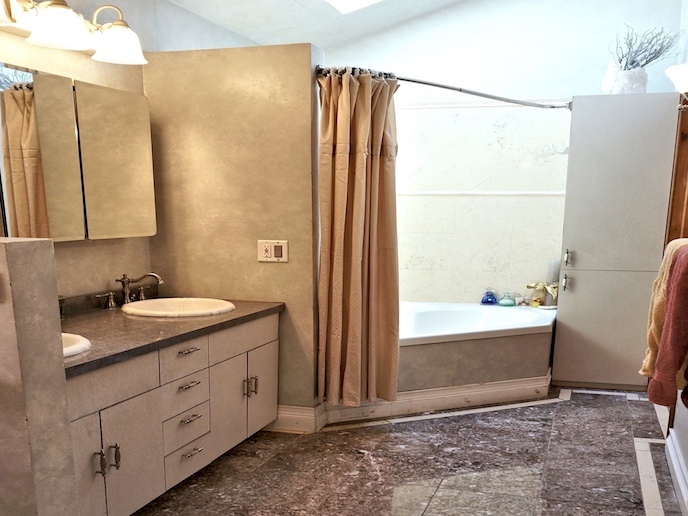 "The bathroom too was amazing and Fran has added her special touch here too." The 96 sq ft LAUNDRY ROOM provides an extra-large capacity free washer and dryer, hampers, iron, ironing board and ample storage, as well as cleaning equipment, and even a picnic basket and beach towels. Double French doors topped by custom butterfly windows lead to a private, screened-in BALCONY for insect-free outdoor relaxation, furnished with a bistro set for two and glider. "There are entrances from both the sides of the house i.e. main entrance and backyard too which is very convenient. There are large windows and balcony areas which gives a lot of ventilation provisions."